- Knife-edge width: 10mm, 20mm, 25mm, 30mm and 40mm. 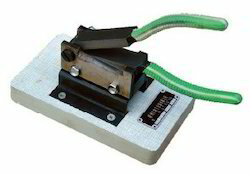 Fibre Cutter or Fiber CutterApplication:Fibre Cutter or Fiber Cutter, used to cutting the fibre as certain length for testing whose linear density. High Precision Fiber LASER Cutting Machines are been manufactures 100% at our premises using IPG (germany) laser power source. rigid, reliable, durable and after sale service with 100% indian make machine. Machine Weight: 2300 kg,2.3 Ton. We are a leading enterprise engaged in offering a high quality range of Laser Cutting Machine which offers effective cutting solutions, the offered Laser Cutting Machine is designed using supreme grade raw material and leading technology. 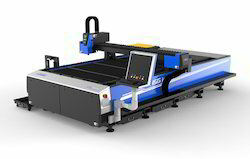 Our customers can obtain the offeredLaser Cutting Machine in varied customized options.